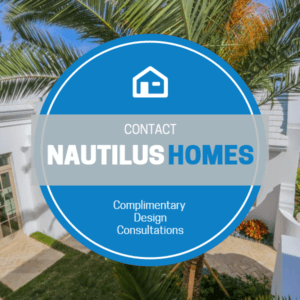 In addition to designing beautiful homes and remodels, one of our missions here at Nautilus Homes is to ensure that all our clients have the first-class concierge service they deserve. After all, you are spending a considerable amount of time and money on your home, so the experience should be a positive one. We developed our relocation service as a response to our own personal experiences. We realize how difficult it is to navigate all the options in an unfamiliar area. To help you on your new journey, our team takes the time to understand all your distinct needs and desires, and then develops a plan that is best suited to meet your expectations. We grew up here and have built custom homes throughout the greater Sarasota area, so we have a wealth of knowledge of where to start your real estate search. We have also worked with the top interior design and architecture firms in Sarasota and elsewhere. These trusted connections combined with our years of experience help you take the guesswork out of your big move, allowing you to focus on more important things — like planning that housewarming party! Take advantage of our local knowledge and put us to work to find your perfect home site. Give us a call today. We can help you all the way.